One of the best Fiji experiences is surfing. Getting out into the ocean, enjoying the sunshine and the tropical, warm, clear blue sea. Whether you are a total beginner or a seasoned surf pro, Fiji boasts a surf break to suit every level. 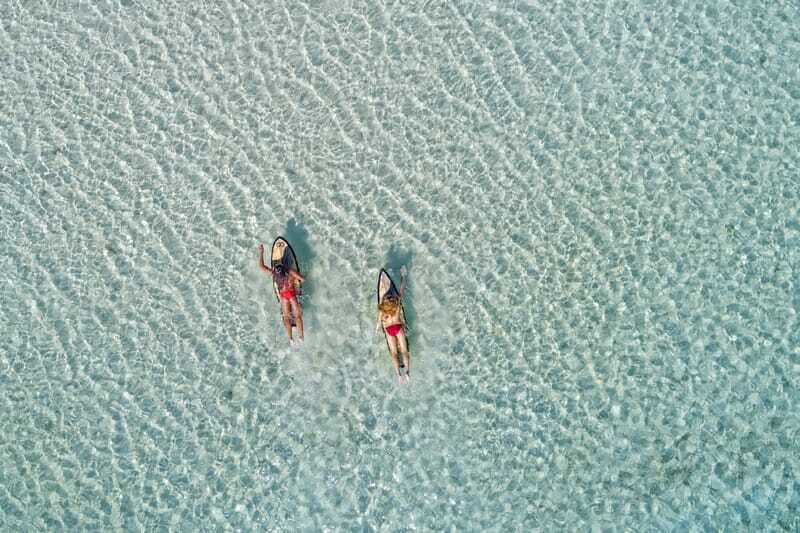 From soft foamy longboards in the gentle waves off the beach to jumping in a boat and heading out to some gnarly reef breaks with a few buddies; if you want to surf Fiji, these are the places to go. To find some of the best Fiji experiences head to Tavarua Island, home of the World Surf League Fiji Pro. 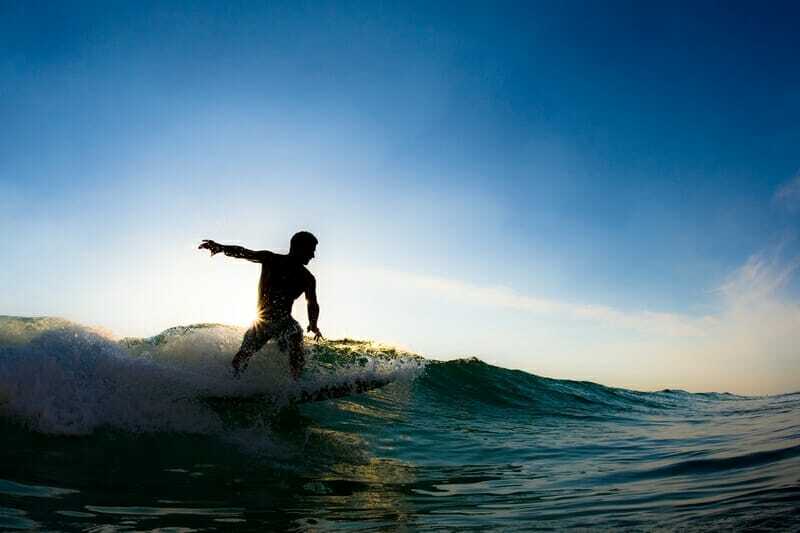 This island not only offers access to 7 nearby world-class surf breaks but beginner surfing just off the beach as well. The surf breaks include Namotu Left, Wilkes Pass, Restaurants, Tavarua Rights, Cloud Break, Swimming Pools and Desperations. Tavarua is a resort island, located just west of the mainland and is part of the Mamanuca Island chain. The luxury resort offers something for everyone and is by far the best location for advanced surfers who want to surf Fiji. Great for intermediate surfers, this break is just a 500-metre swim from the beach at the Hideaway Resort on the Coral Coast. It is a right-handed reef break which offers fairly consistent waves all year round, if you want almost guaranteed surf go from May to October. This is a great location to stay if you are travelling with non-surfers as the resort has plenty to keep them occupied, and the surrounding area offers lots of day tour options. However, if you have a beginner surfer with you, it may not be the best location. If you are an experienced surfer, head to Beqa Lagoon, just south of the main island of Viti Levu. The world-class left-hand reef break, Frigates Passage, is accessible from surrounding islands by boat, such as Bequ Island, Yanuca Island and even from the mainland of Viti Levu. Referred to as the Fiji Pipeline, Frigates Passage has more regular waves between May and November but offers a bigger swell during cyclone season from December to April. Similar to most other surf breaks in Fiji. Ideal for beginners, this beach break is not only easy to access from the Coral Coast but is just a 45-minute drive from Port Denarau, too. The pristine beach stretches for miles and the warm water is crystal clear. By far the best place to learn to surf in Fiji, there are plenty of surf schools around so you can get some top tips from the locals. Not quite feeling up to surfing yet? Natadola Beach is perfect for body boarding as well. If you need help picking a resort for your surfing holiday in call our Fiji Holiday Experts today!